Lilli was praying while coloring earlier and said, “God, I love You when You’re the same and I still love You when You’re not the same.” • This echoes a lot of conversations we have on a daily basis, conversations of how she is loved regardless of her actions and how we “love you when you listen and we love you don’t.” • “Hey, Lilli, want to hear some amazing news?” • She always does. • “God never changes,” I tell her. “He’s always the same.” • “Wow.” • “How does that make you feel?” • She smiled so big. “It makes me feel really happy.” • “Why would that make you happy?” • “Because I love Him and I want Him to come everywhere with me and if He never changes it means He is always with me.” • She’s three years old. • Solid theology is a comfort for every age. Praise God for His immutability. I don’t mean the do better, try harder, clean-yourself-up kind of self-help “Christianity” so prevalent these days. 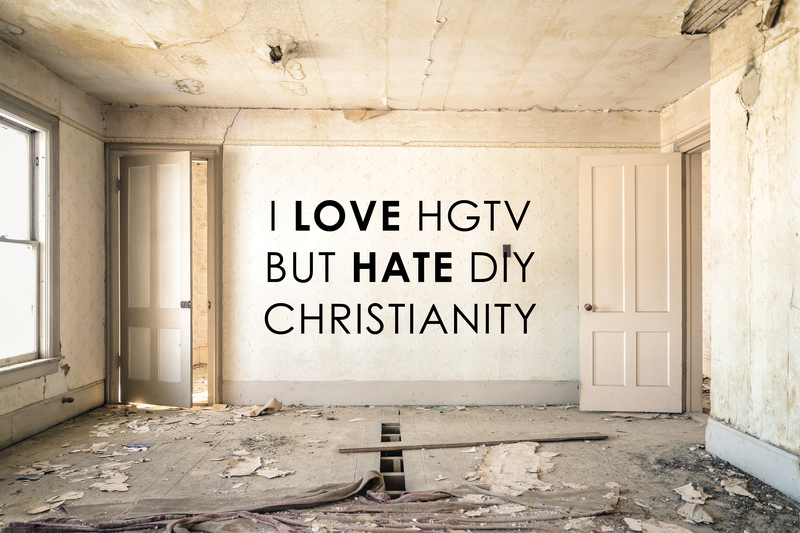 I mean the kind of Christianity that tries to clean and fix other people as if they were a house to renovate or a fixer upper to paint and polish and these super Christians were in charge of making it happen. 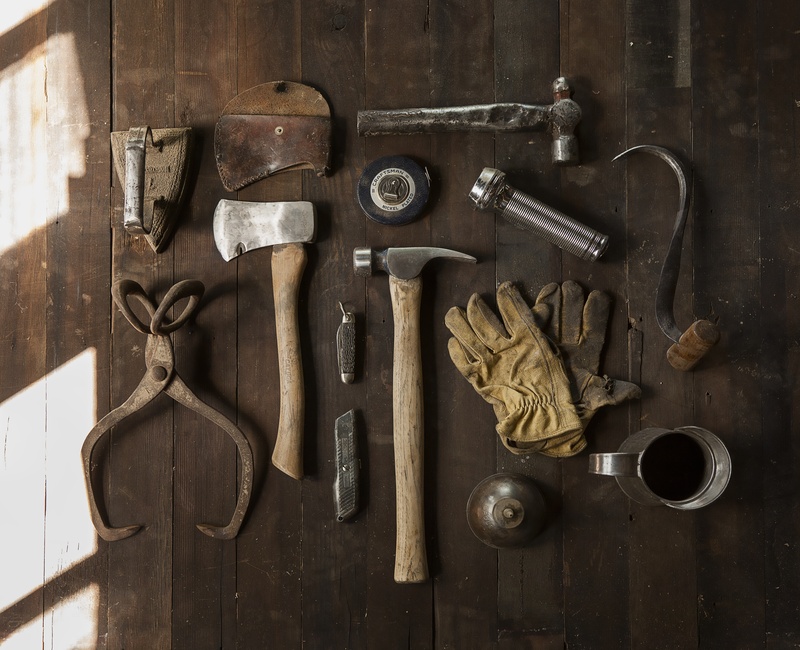 We are not the Holy Spirit handymen that the Lord places in control of creating open-space concepts in people’s hearts with one swing of the sledgehammer of Scripture. 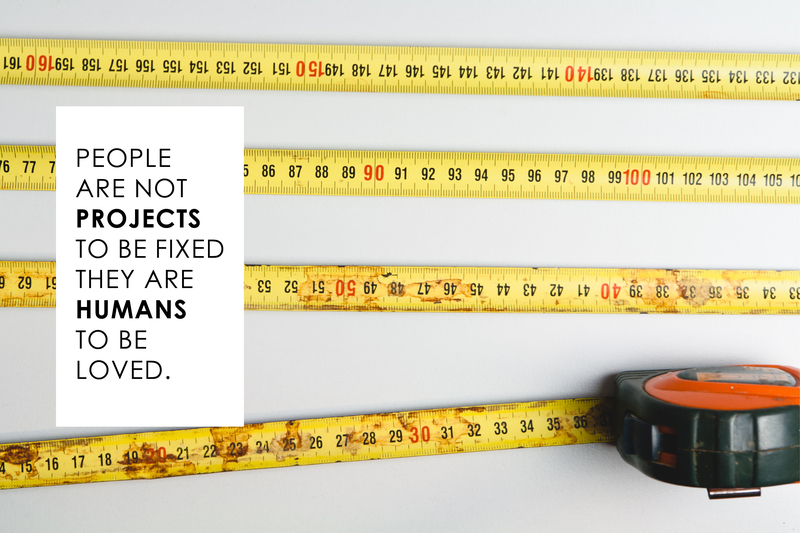 People are not projects to be fixed they are humans to be loved. They have souls and stories and each one is worth knowing and hearing. Let’s put down our sledgehammers of legalism and behavior modification and pick up love and compassion (Colossians 3:12-15), never condoning sin (absolutely not—we pursue holiness, apart from which no man can see God [Hebrews 12:14]) but loving people where they are, even if they never choose to follow our great God. If you’re serious about being Jesus’ disciple, your life will get messy. Every non-believer is in a mess. We yell at sinners down in a pit, “Hey! Come out of there—Jesus has something so much better for you.” Some diligent people will throw down a rope. But Jesus climbed down into the pit with the sinner and, while pushing the sinner out of the pit, became covered with the sinner’s mud. Are we willing to get in the pit and love people out of it? Are we willing to stay in the pit and get covered with their dirt, sometimes being misunderstood and accused by the world (like Jesus was)? Are we willing to get messy with and for people without hinging it on the contingency that they believe in Jesus? This is where God is really challenging me. Do people know I love them regardless of whether or not they ever profess faith in Christ? Do my small group girls know I love them because I think they’re the greatest girls on the planet even with their hearts of stone (Ezekiel 36:26)? * Last week I asked them that very question and told them I would love them even if they never followed Christ but because I loved them I would beg them to follow Him. When you love someone you want the best for them, and those who have been washed clean by the blood of Christ through the regenerating power of His Spirit know the peace, joy, mercy, grace and love available only in Jesus and we want desperately for all people to taste and see and experience all those things too. At the same time we know that Scripture says God’s wrath is on any who don’t repent and believe the Gospel (Romans 2:4-5), and we physically ache for them to be spared of the coming judgment. But when they don’t immediately respond favorably do we give up and go on to someone who will, or do we stay and love and serve them anyway? Do we love for the long-haul or just when we see results? May God change our hearts and attitudes to love Him more than our own comfort or personal preferences and serve and love others with no reconstruction agendas or blueprints, resolved to let the Holy Spirit do what only He can. *Does Starbucks know I love their coffee and the people who make it even if they never become a Christian company or put “Merry Christmas” on their charming red cups? This entry was posted in Monday Morning Munch. Tagged Christian Living, diy, Gospel, great commission, hgtv, Holy Spirit, Jesus, love, loving people, Michael Durham, missions, new covenant, regeneration, rodney calfee, self-help, starbucks, theology.